Endorsed by Socialist Alternative, the Democratic Socialists of America, The Stranger, and...the Seattle Times. Here's today's wacko report from Seattle, the city that Amazon wants to escape. 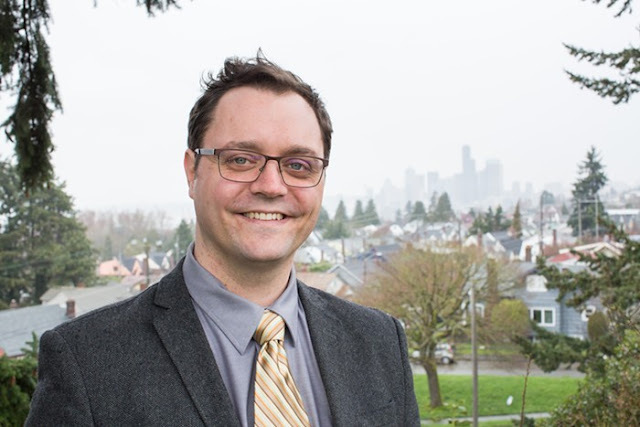 The moderate-to-Republican Seattle Times Editorial Board has endorsed Jon Grant, a socialist city council candidate aligned with Kshama Sawant who wants to tax big businesses and end sweeps of homeless encampments, reports The Stranger. The board focuses its argument for Grant on the city's ongoing effort to revamp its contracts with social service providers. Those efforts are already underway in the mayor's office, but the board wants a city council that's supportive. According to the board, Grant is more open to those changes than his opponent. It's a weird pet issue for the board to pick considering all the other stuff they should really hate about Grant. Every time I think of relocating to Seattle for work in tech, I think of those 2 jabronies on the city council and the likelihood that my potential employer will have to relocate. Whenever I hear about republicans who want to increase taxes and support socialist measures I'm reminded of the Ralph Raico quote: "I was never a communist, the closest I ever came to being a communist was when I was a republican"